Crisis In Japan: Here's How To Help : The Two-Way InterAction.org lists 28 "appropriate disaster relief" organizations now working in Japan. Here's how to learn more about them and donate to their efforts. 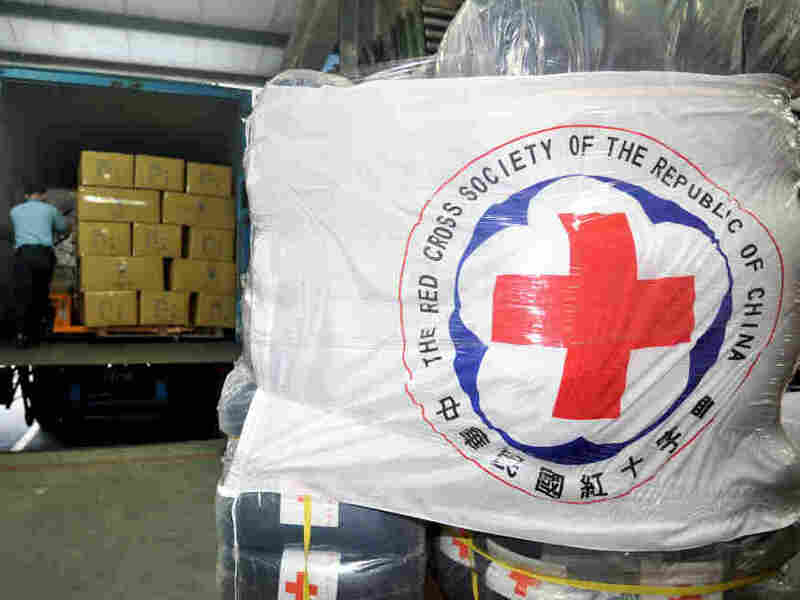 In New Taipei City, Taiwan, relief goods were ready Sunday to be shipped to Japan. Here they are. Each is linked to its website. And just to be clear, these are the organizations that USAID, through InterAction, is pointing people to. NPR is not trying to steer anyone toward any organization. Update at 2 p.m. ET, March 18: InterAction has again added to its list. So we've edited the one below to reflect the changes. Update at 9:30 a.m. ET, March 15; InterAction has added six groups to its list, and we've added them to the box below as well.